Uzbekistan faintly rings the bell of familiarity. Well, that won’t be the case for long. According to South China Morning Post (via Bloomberg), Uzbekistan is among the destinations part of a new “bucket list” along the Silk Road. So what’s remarkable about this central Asian nation? For starters, traversing Uzbekistan is like stepping back into time. A great number of structures around its ancient cities are still intact. More overwhelming is the culture and customs that have been around for over thousands of years. 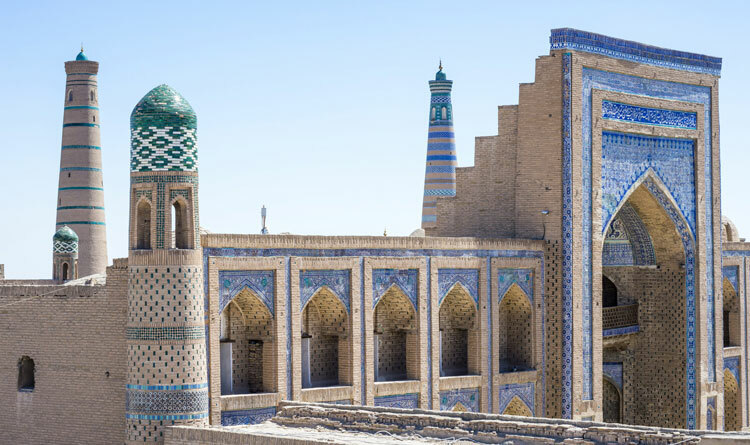 Let’s dig a little deeper and unearth Uzbekistan through its main destinations: Khiva, Bukhara, Samarkand, and Tashkent. Inside Khiva’s mud-walled fortress, enchanting structures unveil themselves to tourists. The Summer Mosque, an intricate structure of blue tiles with ornate patterns, has shades bursting out amid an earthy backdrop. Another is the Watchtower at Kuhna Ark, which affords an unobstructed view of the sun. Underneath Juma Mosque’s prayer halls, 200 wooden pillars show different carving styles dating back from the 10th century. 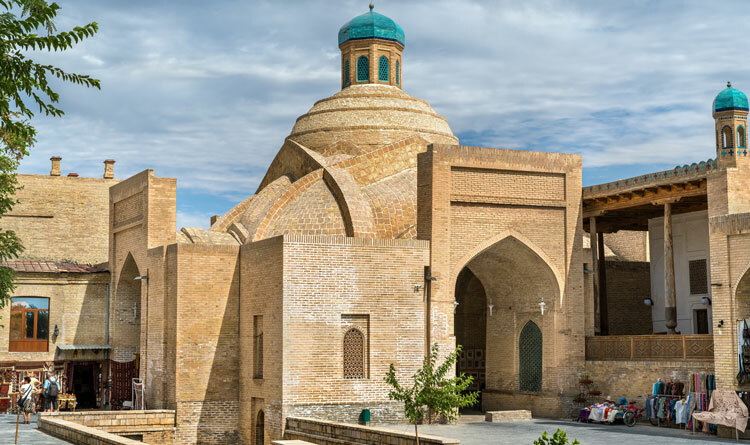 While some may skip a trip to this rather small city, this gem west of Uzbekistan deserves attention for its architectural wonders. The ancient city of Bukhara, one of the holiest cities in Central Asia, has well-preserved mosques, minarets, mausoleums, and madrasas. The City Centre, a prominent stop on the Silk Road, is a UNESCO World Heritage Site. Thus, it’s one of the more visited parts of Uzbekistan. With the Char Minar, Ismail Samani Mausoleum, and The Ark Fortress also on the list, the city is one huge attraction tourists can’t afford to miss. Meanwhile, Gijduvan, the centre of handicrafts, is a haven for souvenir shoppers after a day of wonderful discoveries. Uzbekistan’s second largest city has evidence of human activity that dates back in the Paleolithic era. If that’s not fascinating enough to set foot in Samarkand, then visit Registan Square, Gur-e-Amir Mausoleum, and Bibi-Khanym Mosque. These monuments in the old city carry the same monolithic power as their cousins from the other cities. Outside the olden areas, Samarkand’s new city comprises of educational institutions and administrative buildings. While it’s clear that Samarkand is making moves to modernise, silk weaving and the production and trade of textiles remain one of the city’s major industries. Among all the Uzbek cities, none is more happening than Tashkent. It’s currently evolving into a modern metropolis while preserving its ancient identity. Kukeldash, a medieval learning facility, is a sight worthy of snaps for its marvellous architecture. A few blocks from here is the Chorsu Bazaar. Spices, clothing items, food, and so many necessities are available here. The bazaar’s giant dome is an appealing sight on its own. Tashkent’s metro is also an art exhibition because of its design. Credit is due for its Russian architects. Tashkent International Airport, the main airport in Uzbekistan, is the launchpad of most tourists flying eager to witness the country’s historic beauty. 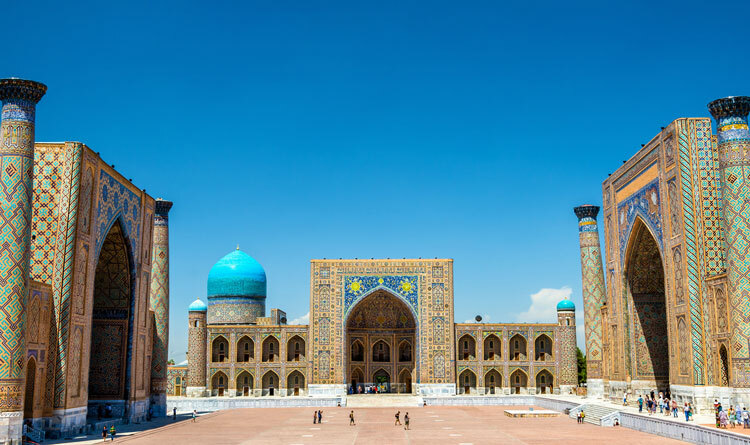 A special charter flight schedule from Singapore to Uzbekistan is happening this December 2018 courtesy of EU Holidays. Grab the chance to stroll amid ancient towns and marvel at a journey through the Silk Road. Find out more information here.